cat eyes & skinny jeans: Luxury Does Come Cheap! What a nice way to have an authentic brand rather than an imitation. It's an interesting venture, I'll bet they do well. What an amazing watch. Instant vintage quality to me. Such a nice watch!! Love it. such a great piece of advice!!! and i totally love this watch. 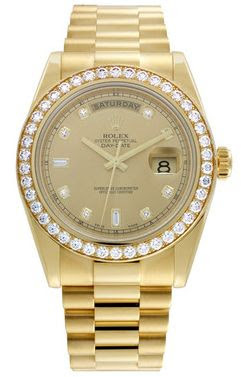 i so love to have a gold rolex, or maybe cartier roadster!!! Oh WOW. What a great watch! The watch is awesome. I don't know exactly what I would want, though. Maybe a beautiful diamond ring. Yeah, definitely a diamond ring. the stainless steel men's rolex watches are gorgeous! what a great way to shop authentic brands!! Buying pre-owned watches is a great idea. Buying a Rolex at a quarter of the price sounds like a dream! Definitely a cool idea! Unfortunately, I already have a watch that I always forget to wear, haha. If you need something, let me know. I will help if I can. btw, thanks for stopping by and commenting on my baby. You bet I'm craving for this lovely Rolex luxury watch! These pre-owned watches nyc looks brand new. the diamond work on the watch is very creative, thanks alot for shearing interesting post.